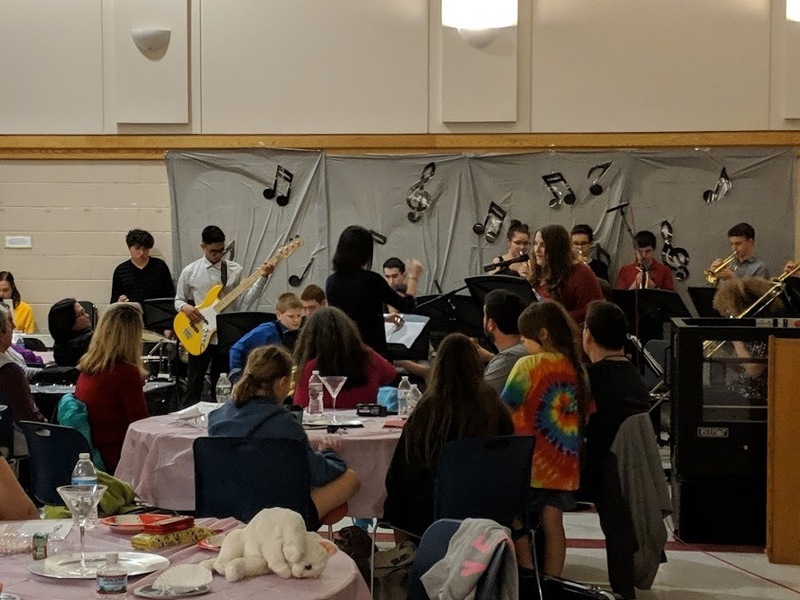 The Maynard High School Jazz Band & Fowler School Jazz Band, directed by Ms. Patricia Gately with assistance from Mr. Kozik, played to a packed house last Friday evening. Members of the Maynard High School Band and Chorus offered their volunteer services to all crews including, stage, tech, set-up, and clean-up for a smoothly run event. All Fowler students played in well-rehearsed ensembles, and the Maynard High School Jazz students played well-received instrumental solos within their full Jazz Band performance. Senior class vocal soloists Meredith Cormier and Charlie Neuhauser added a special touch by joining the Maynard High School Jazz Band on At Last and Fly me to the Moon, respectively. The finale, Thunder, was performed by the full Fowler and Maynard High School combined Jazz Band and was met with resounding applause!